Howdy clubbers! We are well and truly on our way to Easter and yet we are still blessed with some lovely warm weather. I for one am still enjoying the sunshine while it lasts – attending summer markets of various kinds and entertaining outside with my family and friends. 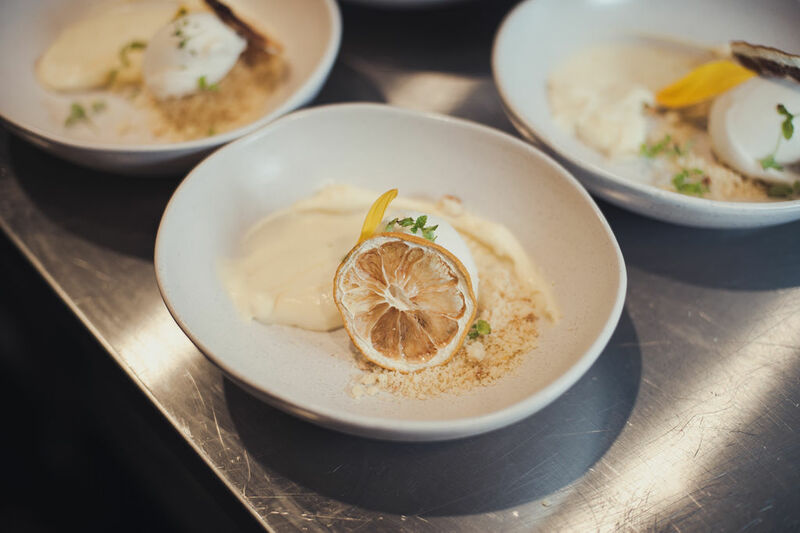 The recipe that I have prepared today is our own version of the one we enjoyed (if you were lucky enough to attend) at our sold-out GR Club Pasta & Plants Event at Henry on Eighth, Maylands. We ended the evening with a festive dessert that was light and refreshing. 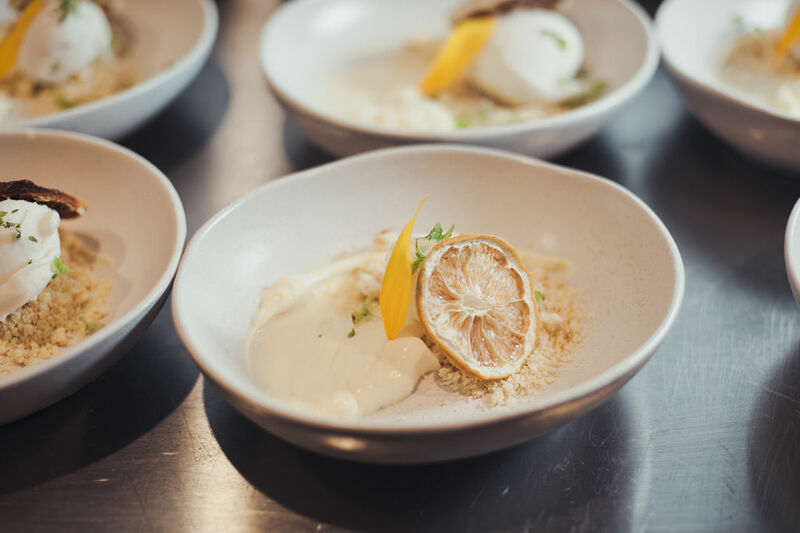 In the Mediterranean and Tuscan cuisines, citrus fruits are used in risottos, on top of salads and bruschetta, with pasta, seafood and desserts. Renee’s nonna Maria will always add a touch of finely grated lemon zest to her torte and biscotti. Given Renee and I both adore citrus desserts, this was the perfect way to finish a delightful night. 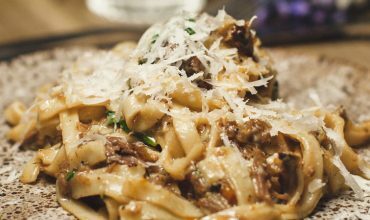 The recipe is easy enough to make ahead of time which makes it just perfect for entertaining this Easter with your family. It is simply a matter of assembling the dish minutes before serving. This ticks so many boxes that we encourage you to give it a try. So much so that it is going straight into the recipe library. Start by placing the cream in a large saucepan along with the sugar and gently heat. Stir until the sugar has melted. Bring to a simmer and let bubble for one minute. Next, turn off the heat, stir in the lemon zest and juice and whisk until well combined. Place in a shallow dish and allow to cool to room temperature. Carefully cover and chill for at least 3 hours or up to 24 hours. Make a simple shortbread recipe or alternatively you can buy already made shortbread biscuits. Gently crumble the biscuits to form a coarse crumb. To dehydrate the orange slices, cut the orange into round slices and arrange flat on a microwave safe dish without overlapping. Microwave the slices on defrost (as this will give you 50% power) for approx. 8 minutes. Check on them – they should be firm but still pliable. Continue at 2 minute intervals until they are sufficiently dried. 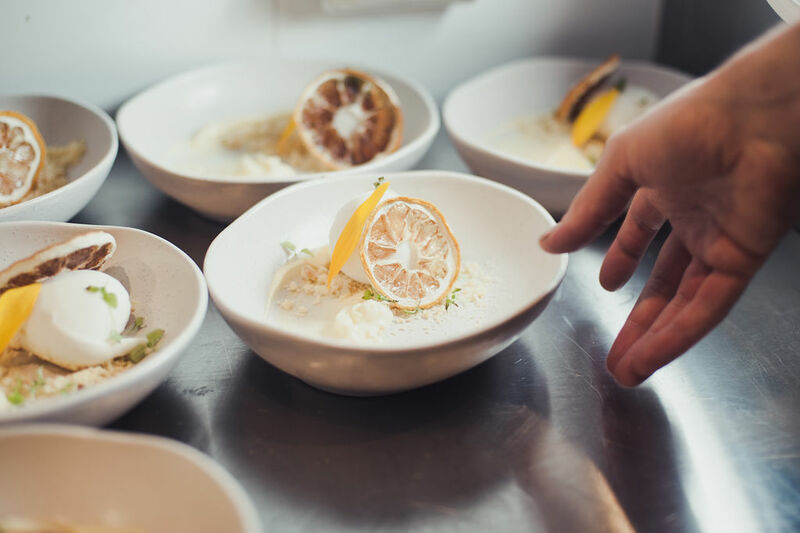 To assemble the dessert, spoon 2-3 heaped tablespoons of the cooled lemon posset into a bowl on one side. Smear the posset with the back of a spoon to create a half ying/yang shape. On the other side of the bowl, close to the thinnest part of the posset, sprinkle some of the shortbread crumb. Place a generous scoop of lime sorbet on top of the crumb mixture. And finally the piece de resistance ... the dehydrated orange slice, edible marigold petals and micro basil.